Did you see Berna's Tooele Rambler in Carr Fork @ $55.00 a SQ FT? What a buy! I know it's a short sale and a lot of negotiations need to take place before you get the keys, but Berna is absolutely the best when it comes to coaxing the banks to deal with the reality of this market. She is a great agent to have on your team. At that price it matters not whether you are a Real Estate investor, a first time buyer, or someone looking to downsize, this house in Northeast Tooele is worth looking at. Here is the Carr Fork Rambler Just Listed. Check out this Tooele UT rambler with large lot in Carr Fork. Carr Fork is on the North East side of the city near the foothills. The backdrop provide a nice setting for this 2,546 sq. ft., 3 Bedroom, 2 Bath Rambler - MLS $140,000 - Short Sale. If you can buy this rambler from the bank for the $55.00 asking price, you will be every ones hero. 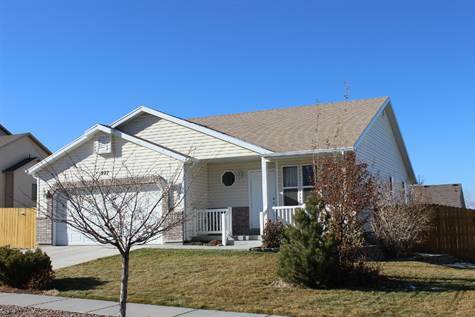 Northeast, Tooele - This very special 3-bedroom residence meets all needs. Engaging home providing pleasant living. Do not let this lovely charmer get away! Fully Landscaped and Fenced. Main level Laundry. For more information about homes for sale in Tooele County or about this Tooele Rambler @ Carr Fork @ $55.00 SQ FT give Berna a call. 435-840-5029.